The provision of leisure and recreational activities is one of the most valued land uses in an installation's mixed-use inventory, and biodiversity frequently plays a key role. The aesthetic qualities of an area are often tied to its range of biological diversity. People value biologically diverse areas for a variety of active (hunting, fishing, swimming, cycling, hiking) and passive (photography, bird watching, contemplation) recreational pursuits. Recreation has its impacts on biodiversity and many of these impacts have been described in detail (Liddle 1997; Newsome, Moore, & Dowling, 2002). The most prevalent impact process is trampling, which damages and kills plants, displaces soil organic horizons, and compacts mineral soils. Off-road vehicles, horse traffic, bikers, and hikers can damage fragile soils and introduce invasive species. These immediate, direct trampling effects, in turn, have additional longer lasting and cascading effects (Liddle 1997). In addition to trampling, substantial environmental effects are caused by such activities as firewood collection and campfire building, trail construction and maintenance, human intrusion into wildlife habitat, and the use of off-road vehicles. In the field of recreation ecology, a primary conclusion is that impacts to biodiversity are an inevitable byproduct of recreation. Avoiding impacts is not an option, unless all recreational use is curtailed (Cole 2004). Managers must make decisions about appropriate levels of impact and implement management strategies that keep impacts to within their pre-determined acceptable levels. Biodiversity impacts from recreational pursuits can occur rapidly but may recover slowly. This effectively challenges management strategies based on periodically allowing sites to rest and demonstrates the importance of proactive management  avoiding impacts instead of repairing them. It also explains the common finding that impacts proliferate over time unless the sites are allowed to rest. The proliferation of impacts at new sites is usually more problematic than the deterioration of established sites (Cole 2004). Hunting and fishing are an integral part of recreational activities on many military installations for both military personnel and the general public. When managed astutely, hunting can provide selective and area-sensitive wildlife management and be regarded as a service to farmers. However, in the United States, in some instances over-hunting has been responsible for the local extinctions of some wildlife species. Ensure biodiversity management is integral to recreation planning and management. Provide educational materials and/or workshops for target audiences to raise awareness of biodiversity. Strengthen wildlife management policies and practices to minimize impacts on biodiversity objectives. Encourage low impact recreation areas such as primitive campsites. 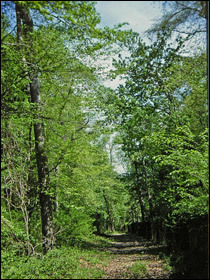 Implement site-specific habitat and species plans.